Building and launching a strategic minimum viable product with core features enables you to kickstart your ideas. Take advantage of BigStep’s expertise in application development to get on the exciting journey of starting-up. We will build and launch your MVP allowing you to shape product vision from early prototype. We will then work with you to develop your MVP to a full-featured product for long term success. How MVP services makes a difference to your business? 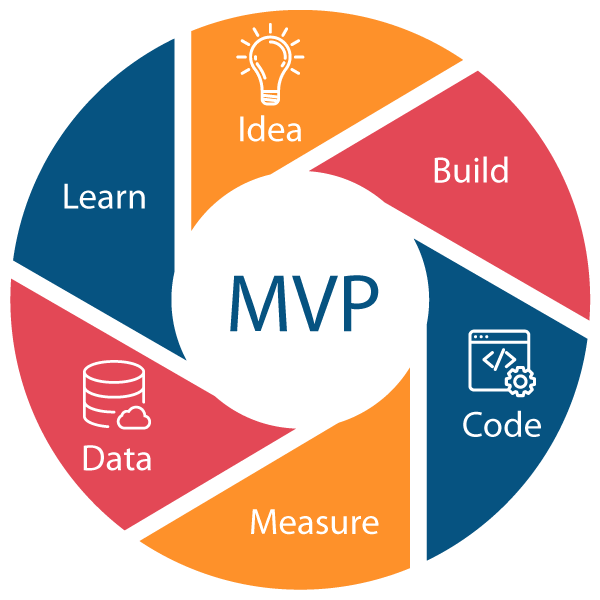 With our MVP development services, you can launch a product comprising all new functionalities that responds to all market problems and gets established successfully. Our MVP service platform aims to resolve two common business constraints (Timeline & Budget). Ensure evolving business plan fits the product developed. Ensure businesses achieve their desire to be pioneers of the product designed. Resolve uncertainty associated with end-user needs. Eliminate the extra costs associated with product designing. No need to evaluate risks associated costs and expenditures. No need to assess technological costs for developing a product. How We Deliver MVP Services? Get more out of less efforts. Use our MVP services to reduce the time & money spent on developing a product. Share with us the technical specifications requisite to achieve any business need and we’ll deliver you the product containing all desired functionalities. Identifying the Problem: We identify the concern that exists in a business and calculate consequences arising from the problem or concerns. It can be business idea as well and may not necessarily be a problem associated with the business process. Build-Measure-Learn: Using the right approach; we build the product based upon our evaluation, measure the results and evaluate its performance based on customer’s feedback and responses.